I have an issue with facials. Allow me to rant my face off for a moment…. Firstly the really good facialists need to be booked at least 3 weeks in advance. Now I don’t know about you but when my skin is good, I can’t be bothered to do anything but splash a bit of water on it. However, on the other hand, when I look like a spotty teenager; I’d give my right arm for a therapist with a wand to fix it. Secondly, the appointment will last at least an hour, maybe even 1hr 15. That’s a long time in the scheme of my juggling diary. I can write at least 500 words in that time. Or make 5 phone calls. Or even get to Waitrose and back AND make a bolognaise. (and that’s before you’ve allowed for travel/park time…I think you catch my drift). Thirdly, I need to state the obvious…. a facial is damn expensive. Ranging between £60 – £95, it’s more than a luxury to lie back on a bed while someone washes your face. So all these reason drove me to try the GlamGlow mud. (which isn’t exactly cheap – I’ll come back to that). 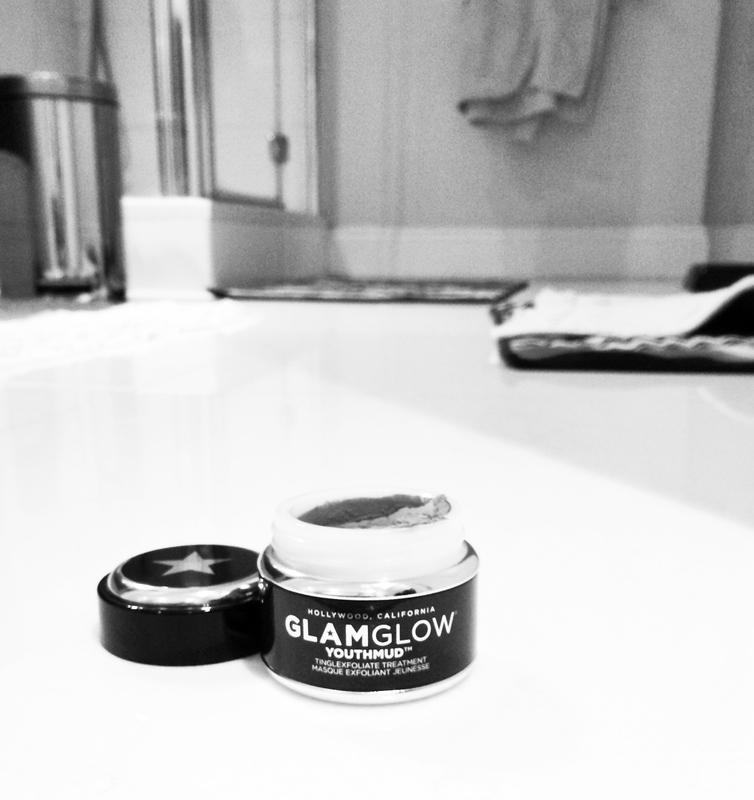 If you haven’t heard of GlamGlow, I should explain. This is the face pack with a CULT, glamorous, Hollywood following. In fact, I read that this mud was specifically designed so that the properly famous could look camera-ready with glowing skin. I spotted it on sale for £37 (50ml is usually £50) and pounced. I was going out that night and needed something brighten up my shade-of-grey skin. The packaging clearly states that it will tingle but I’d caveat that by saying it actually HURTS and (as reported) looks like green sludge… but bear with me pleeeeaase! On it goes in the bath. Hard to spread and full of lumps (apparently that’s green leaf tea?! ), I lie back and try to relax… with face pain. It sure IS exfoliating; it’s high in volcanic pumice rock and has more super antioxidants and minerals than you can shake a stick at. I’ve since used it 3 times and I am having no issue working out what all the fuss is about. This is the DOG’S ******** face mask, without a shadow of a doubt. I suggest you swallow the cost (there are at least 10 facials in one pot) and immediately start glowing with me. 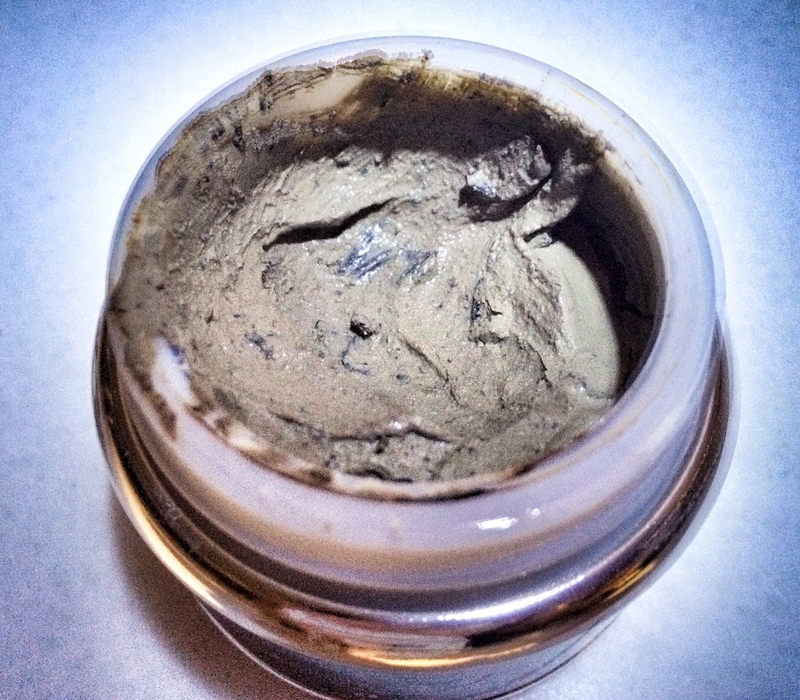 PS I just noticed that www.beautyexpert.co.uk has a 20% off code: GLAMMUD – so get it QUICK! Personally, I totally disagree. I have used it once and wouldn’t let it near my skin again. It’s horrific. If your skin stings then that’s irritation and inflammation. You do not need pumice to exfoliate your skin, you will be scratching it far too much. I think this product is very well marketed rubbish and really could never, ever recommend it to anyone. Yes everyone is different but I really cannot advocate the use of this mask in any circumstances. Really awful stuff. Ok I hear you but … then why does my skin look SO much better?! yes it is worth it Jessica! and let me know what you think!